An enchanted destination: book your Disneyland Paris tickets now. Disneyland Paris is a magical world where childhood dreams are brought to life! This captivating resort is the perfect destination for families, with exciting activities and attractions for people of all ages to enjoy. Can’t wait to experience the magic? Book your Disneyland Paris tickets today and let the adventure begin. 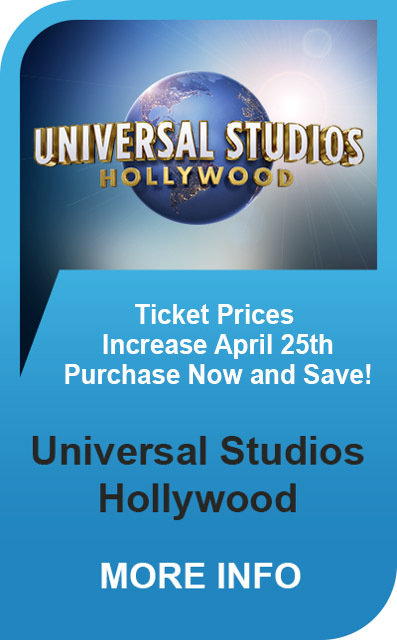 We offer additional discounts for groups of 20 or more. For more details, visit our group bookings page. Book your Disneyland Paris tickets now and let the adventure begin! We have found 11 ticket options for you! Disneyland Paris is an enchanted kingdom where all your dreams and wishes come true, brought to life by your favourite Disney stars from classic tales and contemporary hits! Explore five magical lands, where you’ll be captivated by a variety of spectacular attractions. From Space Mountain Mission 2, which takes you on a journey to the edge of the universe, to the jolly ‘it’s a small world’ ride, which allows little adventurers to sail around the world, there’s an attraction to suit every member of the family. Visit the wondrous Disneyland Park®, where you can meet your favourite Disney stars! Say ‘howdy’ to Goofy, give Mickey a high-five and get your photo taken with childhood favourite Winnie the Pooh. It’s party time all the time at Disneyland® Paris! There’s always a parade or show to get excited about, no matter what time of year, so there’s constantly something to look forward to. Right next door to the magnificent Disneyland Park®, you’ll find Walt Disney Studios®, brimming with thrilling attractions and remarkable shows for the whole family to marvel at. Explore four studio lots, where you can make your big screen debut at Toon Studio, Production Courtyard, Front Lot and Backlot. You can go behind the scenes with Disneyland’s never-before-seen tours, before rounding off your day by taking in the spectacular Studio Tram Tour: Behind the Magic. To get to Disneyland® Paris by train, simply jump on board the Eurostar at London St Pancras International, Ashford International or Ebbsfleet International, and arrive at your spellbinding destination in under 3 hours. Once you’ve hopped off the train, you’ll be a quick 2-minute walk away from Disneyland® Paris. Alternatively, you can board any Eurostar train to Lille and change from there to a TGV train. This will take you directly to Disneyland® Paris. The changeover is quick and easy, as Lille is a small station with only four platforms. The full journey should take around 3 hours, depending on your connection. If you’d prefer to stay in the comfort of your own car, you can travel through the Eurotunnel. It only takes 35 minutes to get from Folkstone to Calais, and you’ll go through both British and French customs before boarding, which means you can drive straight off the train when you arrive. Then, you can hit the road from Calais to Disneyland® Paris before the magic truly begins! The drive from Calais takes around 3 hours. Book your Disneyland® Paris tickets now and let the adventure begin! No, please print your ticket before arriving. Yes, the ticket(s) is only valid on the date(s) your purchased them for. Yes, but limit it to bottles of water and some snacks in a small bag. However group picnics which require specific equipment (cool box, tables, and containers) are not allowed inside the parks. For your convenience, a specific picnic area is located between our parking lot and the park entrance. Can I leave and return to the park? Yes, come and go as you please. Just be sure to keep your entrance ticket on you at all times. Yes. Wheelchairs can be rented at the Stroller/Pushchair and Wheelchair Rental shop, located at Disneyland Park by the entrance at the Town Square Terrace, and at Walt Disney Studios PArk near Studio Services. A Cast Member (Disney employee) will inform you of the rental conditions and price. After your trip to Disneyland Paris, you'll want to explore all that Paris has to offer! Disneyland Parc® and Walt Disney Studios Parc® are always adding a little more shine and magic to Disneyland Paris for your future enjoyment. They are currently busy at work refurbishing some of our attractions, adding that little extra awesome into each one. 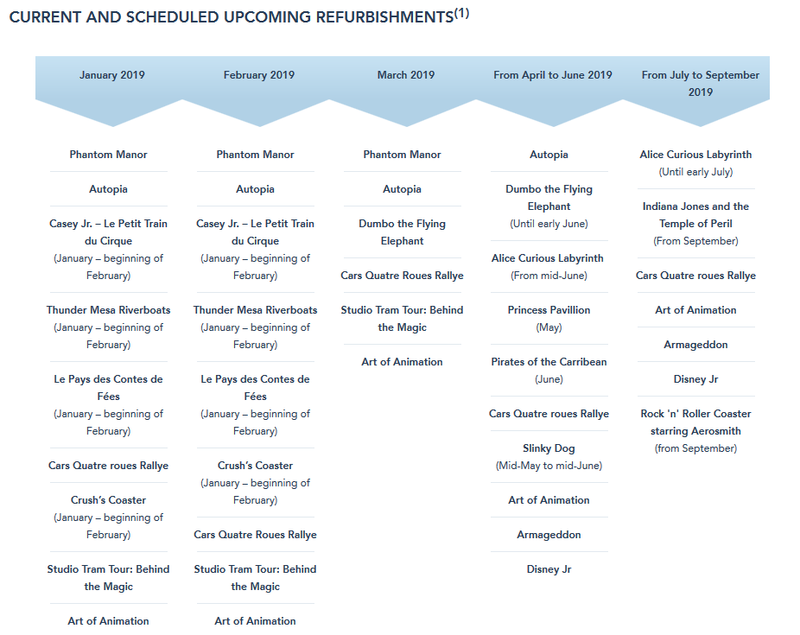 To find out which attractions are currently getting renovated, please click here!